When most visitors plan a trip to Sweden, they tend to stick to the usual suspects: Stockholm, Gothenburg, or far up north in Sweden’s lapland to glimpse the northern lights. 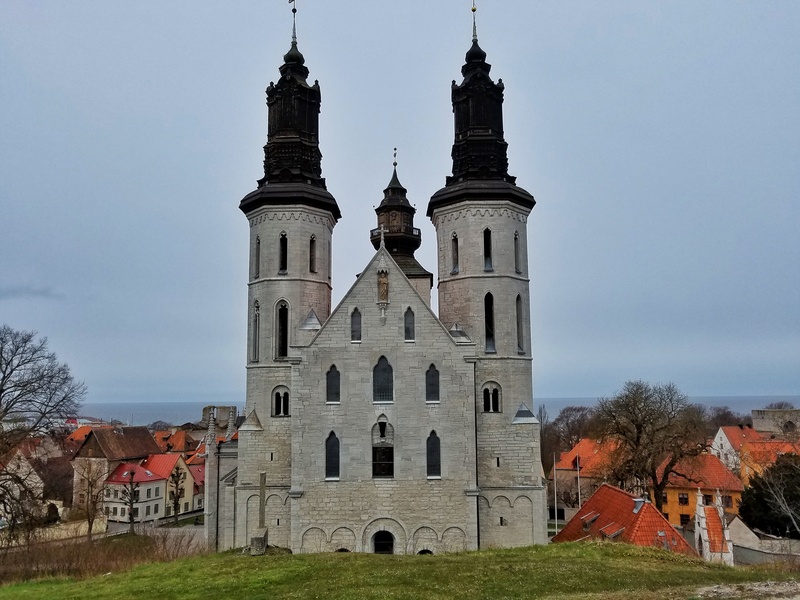 However, far from the mainland lies a little Swedish island called Gotland, in the middle of the Baltic, halfway between Sweden and the eastern Baltic countries of Estonia, Latvia, and Lithuania. 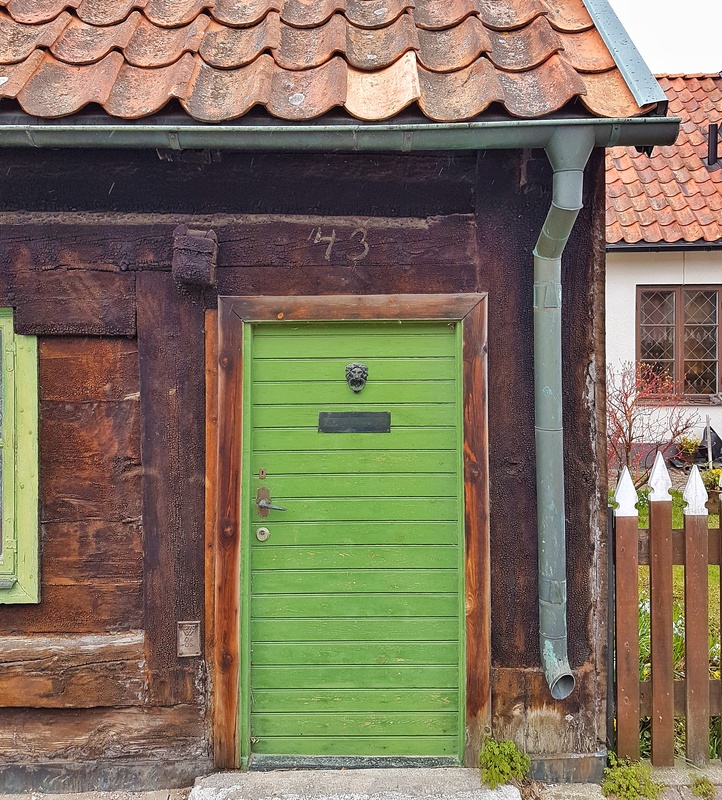 While it is a major summer travel destination for native Swedes (it can get seriously crowded in the summer), it gets largely overlooked by most tourists visiting Scandinavia. 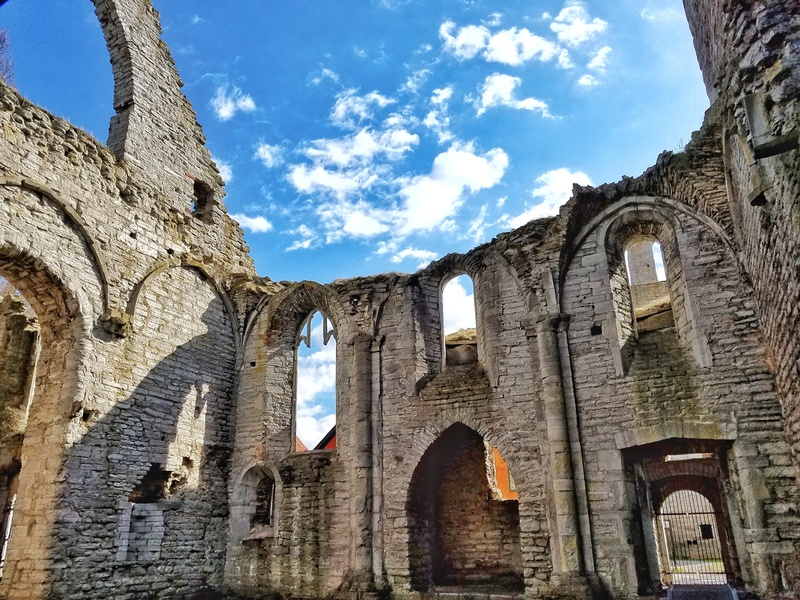 To see my personalized travel map of things to see and do on Gotland, click here. 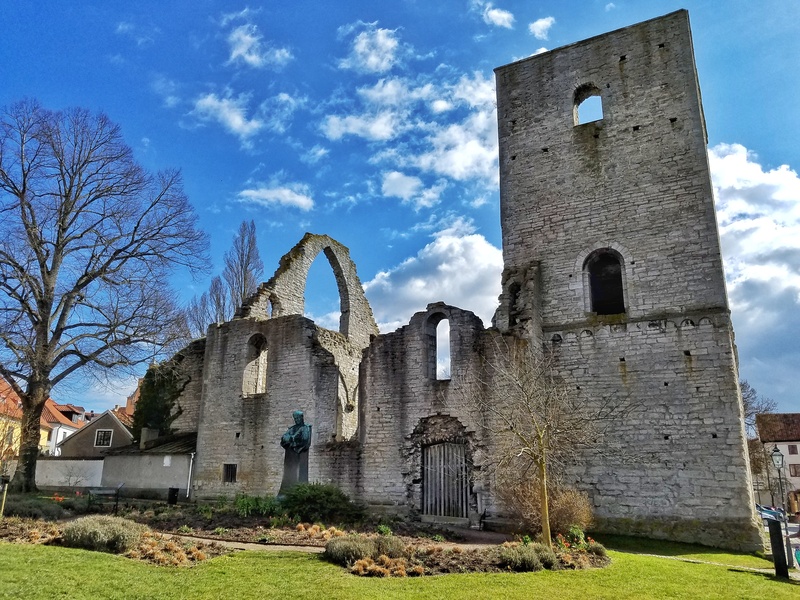 Read on for a detailed description of the highlights of Visby. We recently spent a long weekend here and have created a perfectly balanced itinerary consisting of nature and history. 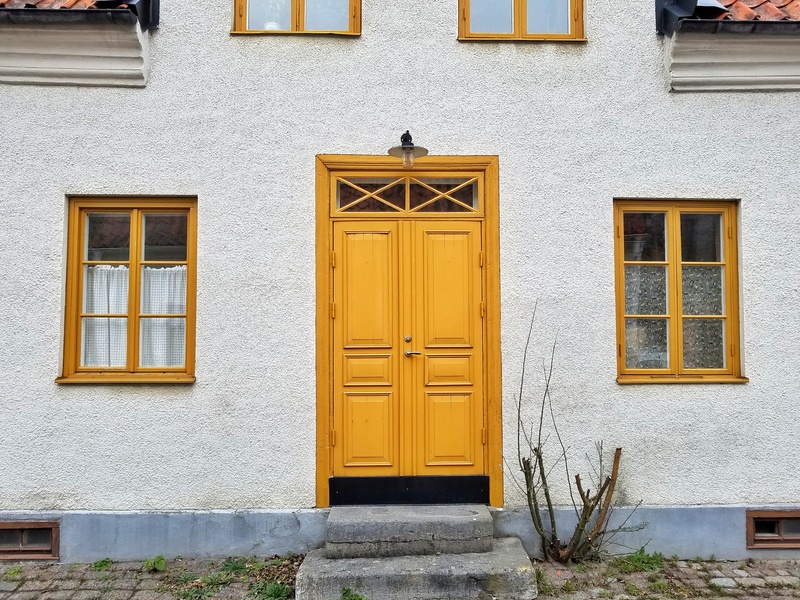 If you find yourself visiting Sweden, this is one stop that you definitely don’t want to miss. Do yourself a favor and put aside a few extra days to take the three hour ferry trip from the Stockholm area to this magical island getaway. We visited over a long holiday weekend in April and found hardly any crowds at any point during our stay. 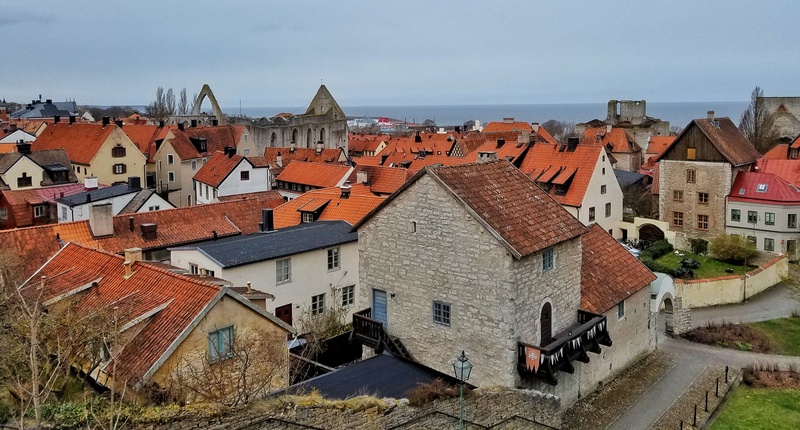 The port of entry into Gotland, whether arriving by ferry or plane, is the main city of Visby: an ancient medieval, walled city, and the oldest continuously occupied city in Sweden. Much of the architecture found within the old city walls here date back as far as the 12th century. Fans of history will find no shortage of amazing ruins and museums to explore. 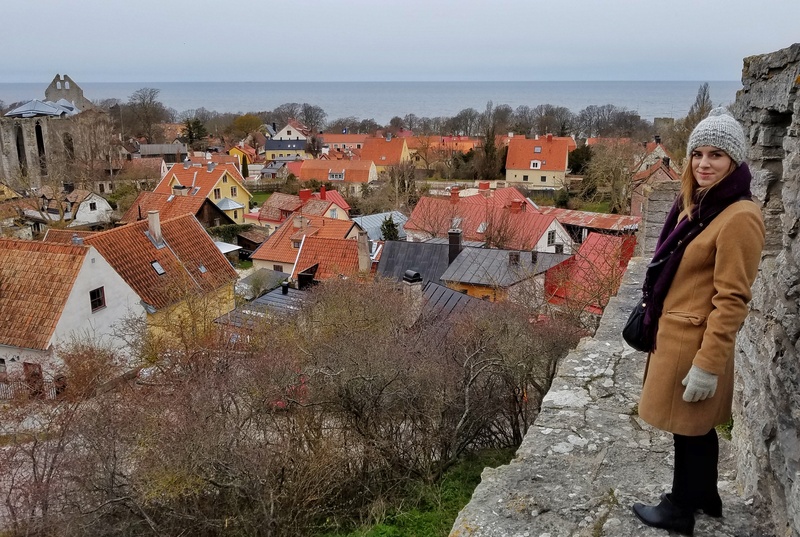 We spent 2 full days exploring Visby itself, and it seemed the perfect amount of time to get a feel for the city and really be able to see all of its major sights. 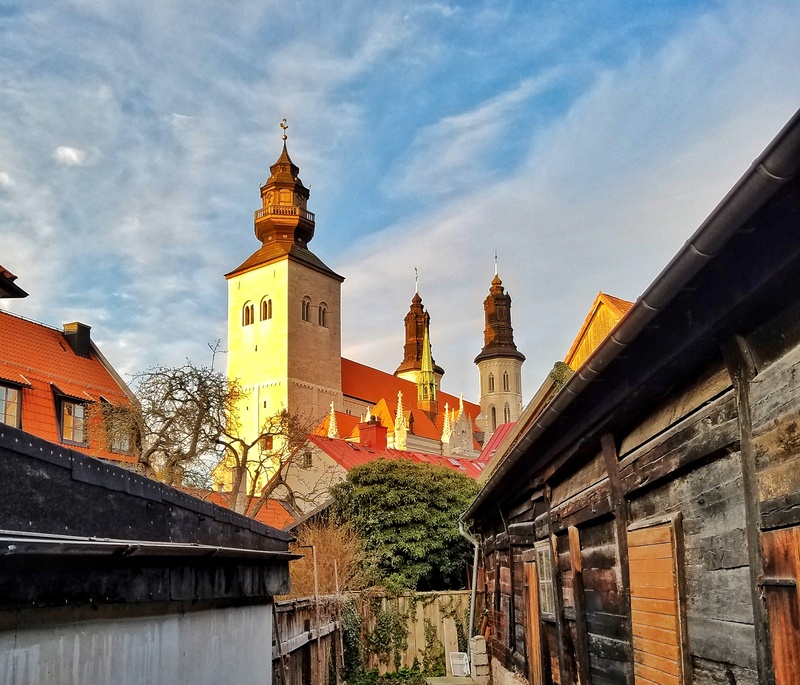 Built during the 13th century, the massive stone wall the surrounds the old town of Visby is quite a sight to behold. We easily walked the perimeter of the wall within an hour, and found it to be quite worthwhile. Along the wall, you will find 36 towers and 3 main gates in various states of repair. 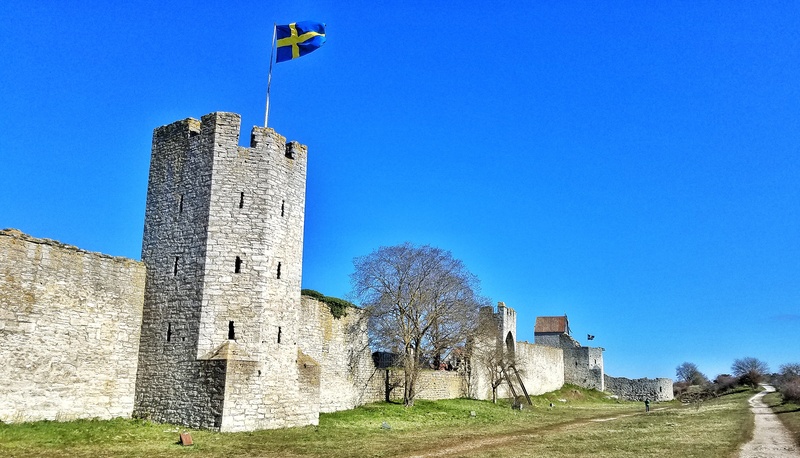 Many sections of the wall are available to walk upon, and at the northwestern section, you will find a tower that you are able to climb to the top of for great views of the Baltic on one side, and the city itself just opposite. 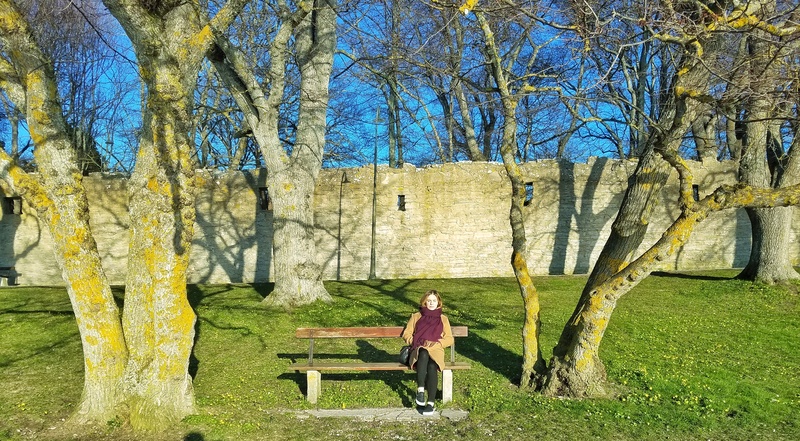 Stepping just outside of the walls, you will find an expansive green area called Östergravar (or the Eastern Graves), with plentiful walking trails that give you amazing views of the outer perimeter. On a nice clear day, when the Swedish flags are raised, the views are unparalleled. 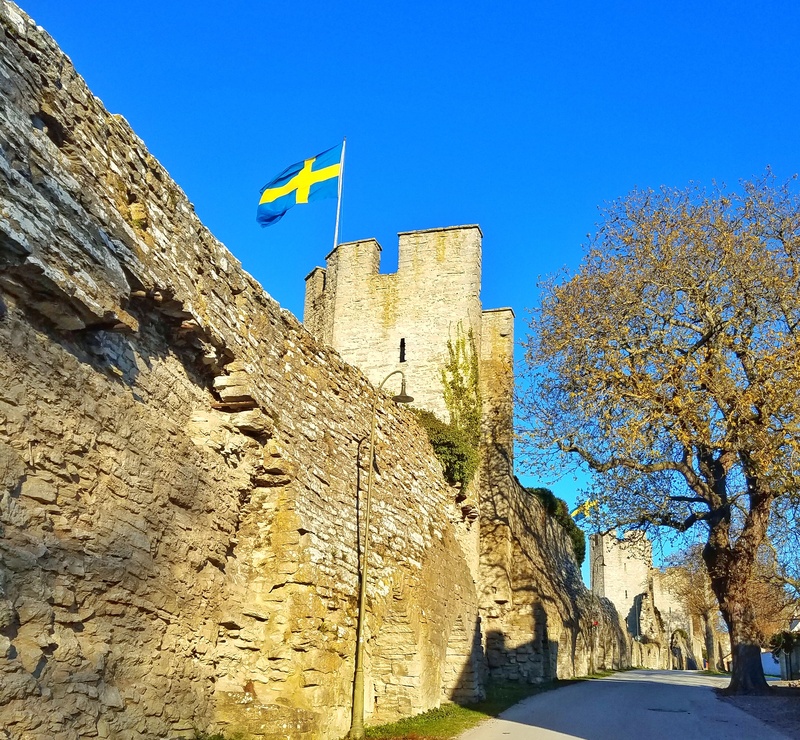 Along the western flank of the wall, you will find a lovely seaside promenade, which is definitely worth an evening stroll and a great place to witness a beautiful Swedish sunset. 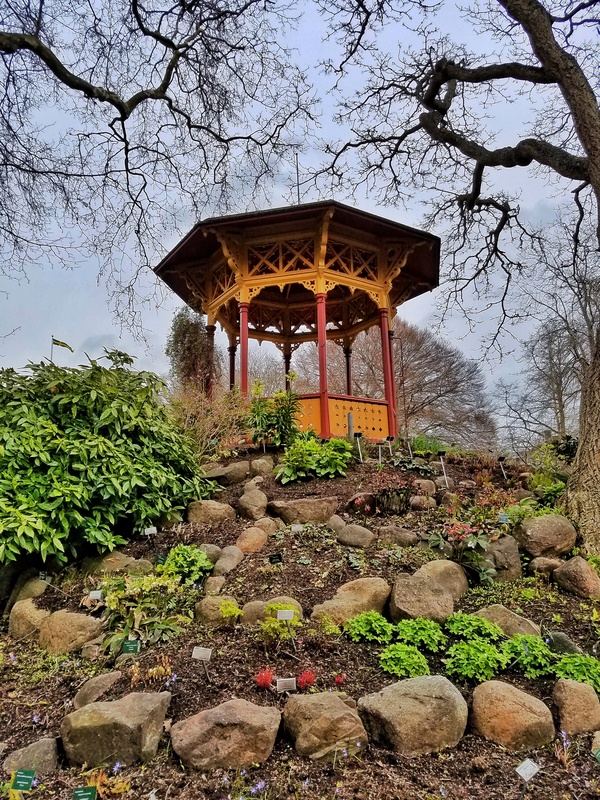 There are numerous paths and benches along the way for you to really take in the views and recharge after a busy day of exploring. 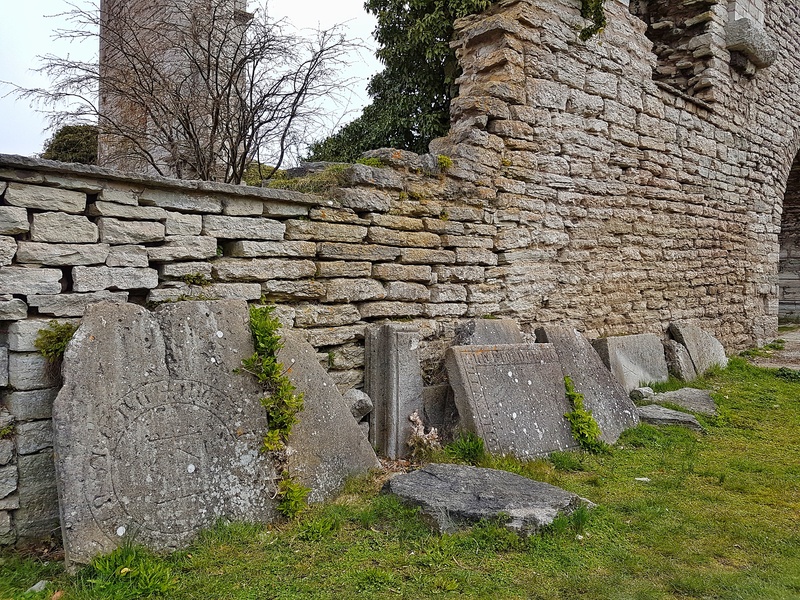 There are certainly no shortage of ancient ruins to be found within the old town of the city. While we were here, none were open for exploring, but in the busier summer months, you should have no problem gaining entry into them. Open or not, they are quite a sight to behold, and you will find historical placards outside of each explaining their detailed histories. 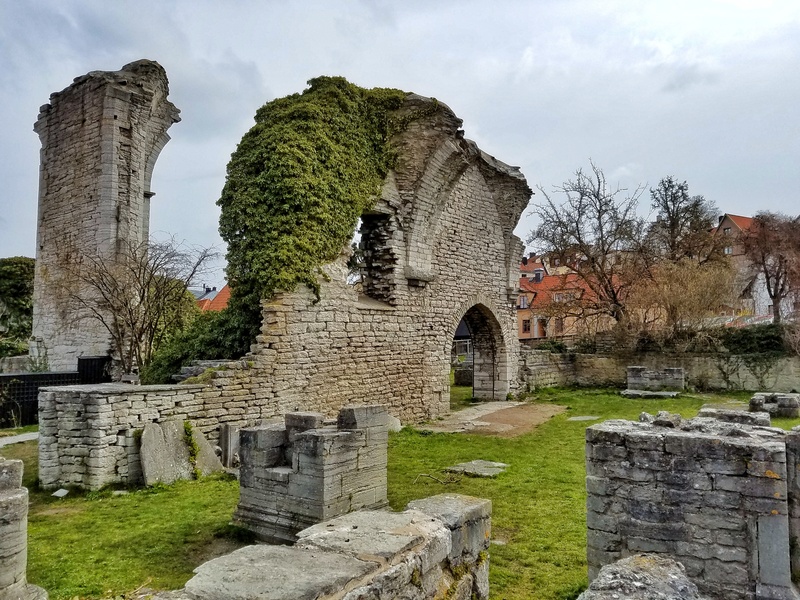 The most interesting ruins we stumbled upon were the St. Peter and St. Hans churches. The 2 churches were combined into one in the middle of the 12th century, and today all that remains are a few crumbling pillars and half walls. It was interesting to walk through the remains of this former structure and imagining what it must have once looked like. In various spots within these ruins were broken runestones and picture stones that were found during the excavation of the church. These are thought to date back to an even older, pagan sacred site. 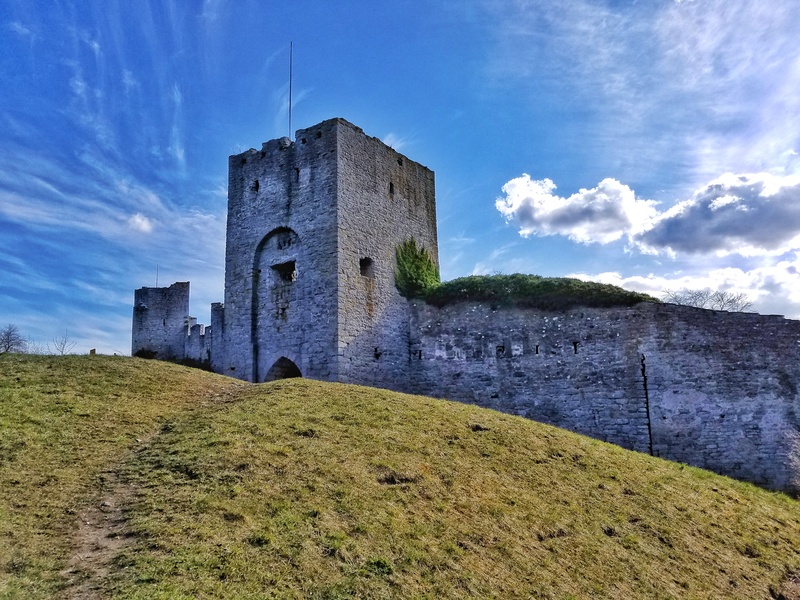 That you are able to freely walk the grounds here and see these ancient parts of history up close and personal is remarkable, and a wholly unique experience. 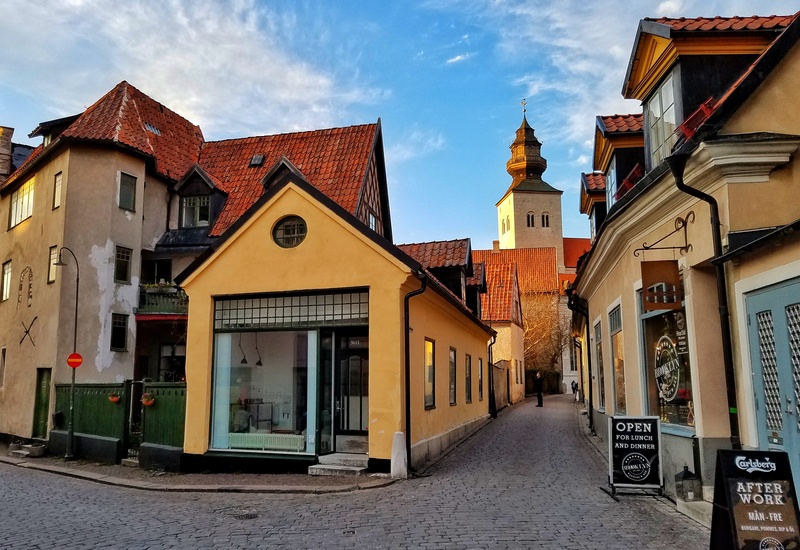 While there are no shortage of things to keep you occupied within Visby, one of our favorite activities was just aimlessly wandering the maze of narrow, cobblestoned streets and just stumbling on beautiful things. Roaming around just before evening fell, when the sun cast a golden light on everything around was especially nice. It seems that every time you turn another corner, there’s some other spectacular sight greeting you, whether it be the crumbling walls of an ancient church, the majestic spires of a cathedral, or some flamboyantly colored doors of the charismatic houses that line the streets. As we wandered about, we stumbled upon the alluring DBW Botaniska Trädgård, an very beautiful botanical garden. 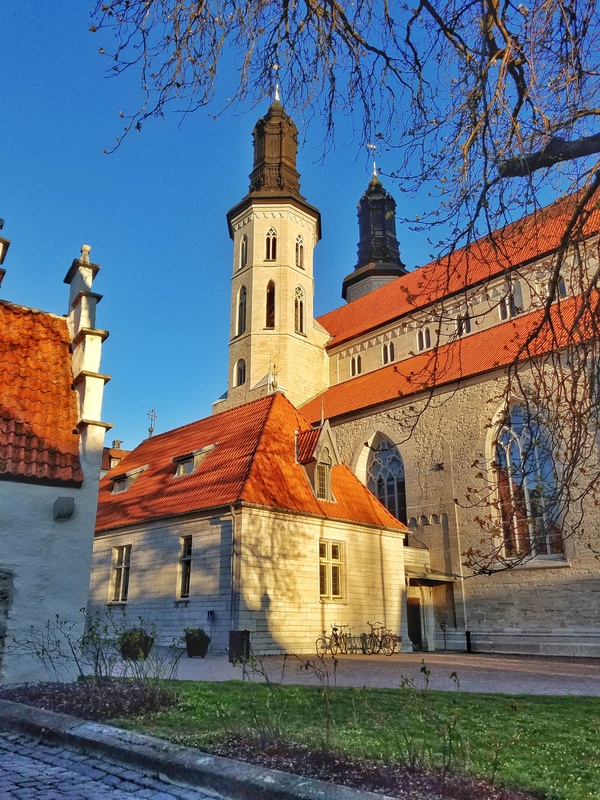 Towering over the low tiled rooftops of the town, sits the most dominating feature of the skyline, Visby Cathedral, in all its baroque splendor. 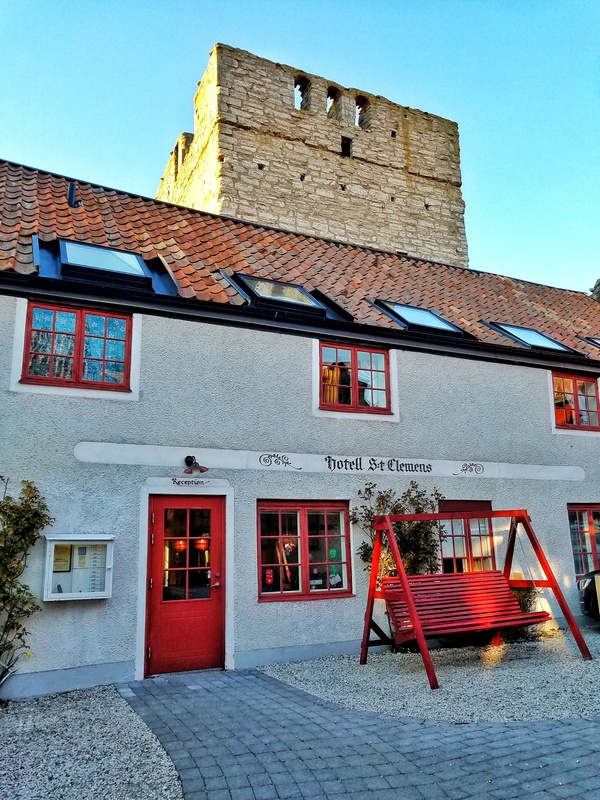 During our 3 nights, we stayed at the charming Hotell St. Clemens, a small family run hotel located in the heart of the old town, and connected to the ruins of an old church. The breakfasts here were among the best I’ve had in any of our world travels, and the service provided by the staff was above and beyond what you would get at a bigger name property.